It's 23:04 in Derry, USA right now. Sharx Security Offices A webcam in Derry, New Hampshire with image archive, weather data and timelapse videos. Manchester, New Hampshire: Millyard, 10.2 miles away. Hollis, New Hampshire: North Hollis, 16.4 miles away. Milford, New Hampshire: Federal Hill, 16.6 miles away. Andover, Massachusetts: Andover Junior High School, 18.1 miles away. Tewksbury, Massachusetts: John F. Ryan School, 19.2 miles away. 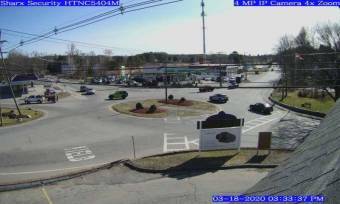 Amesbury, Massachusetts: Weathercam, 20.2 miles away. Concord, Massachusetts: Concord-Carlisle High School, 29.1 miles away. Manchester, Massachusetts: Manchester Essex High School, 35.2 miles away.